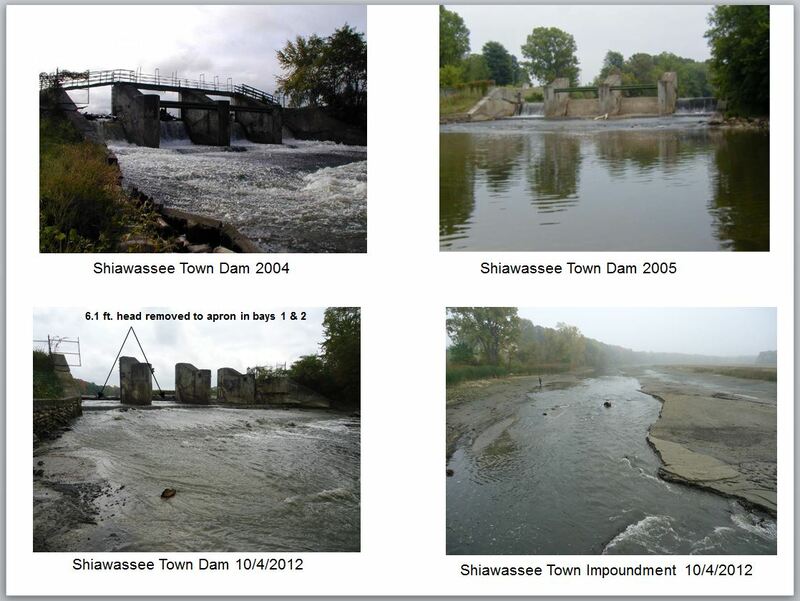 1 – Dams that hold back water can be bad news for fish and spawning. The Saginaw Bay Watershed Initiative Network is making a good dam investment, with a $62,500 grant to the Friends of the Shiawassee River. The money will support dam removal, habitat restoration and park planning at the site of the Shiatown Dam. The grant will go to study the dam site and help restore the upstream area of the former impoundment. It also will allow for further improvements to the Shiawassee County’s Shiatown Park, which borders the site on both sides. Recreational use of the area for fishing and paddling will be enhanced as well. Saginaw Bay WIN, funded by area foundations, has previously awarded grants for Shiawassee projects that include additional habitat restoration sites and public access points. The grant recipient says the project will help return the river corridor to a more natural, healthy condition. Fish will be able to access several miles of fish spawning area previously blocked by the impoundment. 2 – A seventh annual nature photo contest is all online this year. The Saginaw Basin Land Conservancy is holding the contest, and will be awarding prizes from partner organizations for the best photos in several categories. This year’s categories include: landscapes, people, wildlife and plants. There also are categories for kids up to age 18. The photos must be taken within the Saginaw Bay Watershed. For more information, search for Saginaw Basin Land Conservancy on Facebook. Winners are to be announced in October or November. The cities of Midland and Saginaw, along with Thomas and Williams townships, are working to become the first Solar-Ready Communities in Michigan. The project is being led by the Clean Energy Coalition, a nonprofit in Ann Arbor. The local cities and townships have agreed to streamline local permitting, planning, and zoning processes related to solar installations. According to the coalition, the work is part of an effort that will ultimately expand throughout the state. Local officials have held work sessions to explore ways to best prepare for increased adoption of solar technology. That’s included a review of national best practices for solar permitting, and discussions on adopting a region-wide approach. The Saginaw Bay Region is home to three major solar-related companies. Those are Hemlock Semiconductor Corp., the Dow Corning Corp. and the Dow Chemical Co.